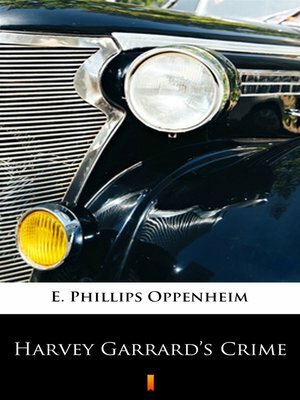 Harvey Garrard, as his limousine crawled over London Bridge and turned into the dingy streets beyond, leaned forward in his seat looking out of the window with the half-weary anticipation of one who revisits familiar but distasteful scenes. There was a faint air of disgust in his expression as the well-known odours of the neighbourhood assailed his nostrils. Forty-eight hours ago he had been living in a paradise of mimosa and roses warmed by Riviera sunshine, his senses reacting pleasurably to the mild excitement, the music and the gaiety of Monte Carlo.